HSE Staff - FREE active @ work training day in Dublin on Wednesday June 29th. For HSE staff to register please email your name, job title and work address to Ann Scanlon - ascanlon@irishheart.ie no later than Monday 20th June. 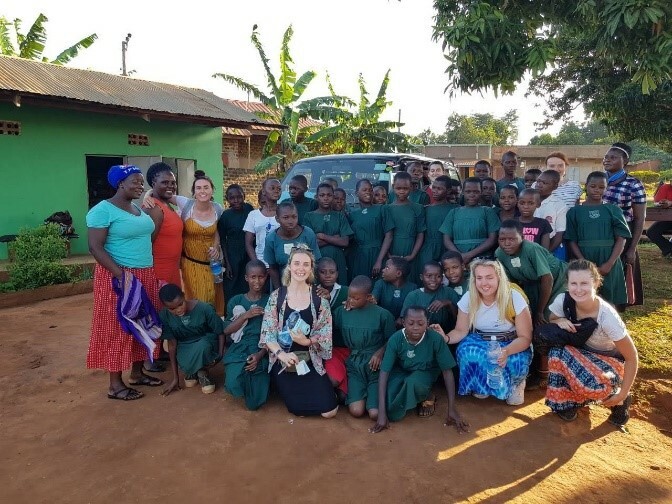 Nurture Africa was founded by Irishman Brian Iredale and exists to nurture the mental, physical and emotional growth and well being of Ugandan HIV/AIDS infected and affected orphans and vulnerable children, as well as their HIV+ parents/guardians. The charity has a strong volunteering element and this year Health Science with Nutrition students from Athlone Institute of Technology along with myself as lecturer were invited to be part of this programme. 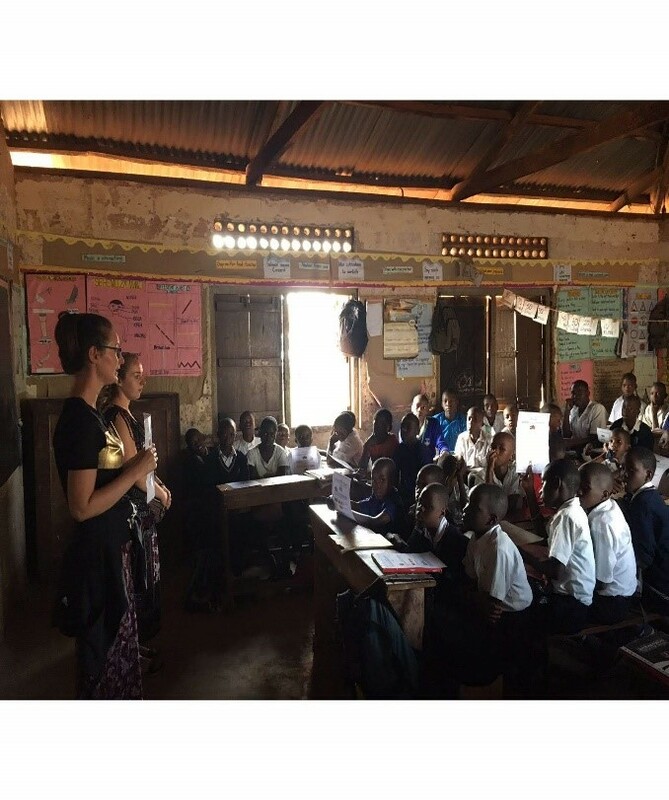 Nurture Africa recognises the importance of diet and nutrition and prior to visiting Uganda and before we set off we worked together to design and develop suitable educational programmes and workshops. We had some groundwork done and in July we headed off to Nansana (outside the capitial, Kampala) for a 3 week adventure! Nutrition plays a vital role in health and wellbeing and education and access to food is essential throughout the lifespan. For mothers it is important to know and practice good habits: by eating well themselves, breastfeeding exclusively up to six months, and then providing nourishing complementary food while continuing to breastfeed. It is important to ensure that children develop properly both mentally and physically. School children are at an important stage for forming good dietary habits, and it is important that they eat and enjoy a variety of foods and to avoid too many sweets and sugary drinks and foods high in salt. Like Ireland, the lure of fizzy drinks is becoming a big problem! People living with HIV and AIDS benefit from understanding that a good diet helps build resistance to infection. 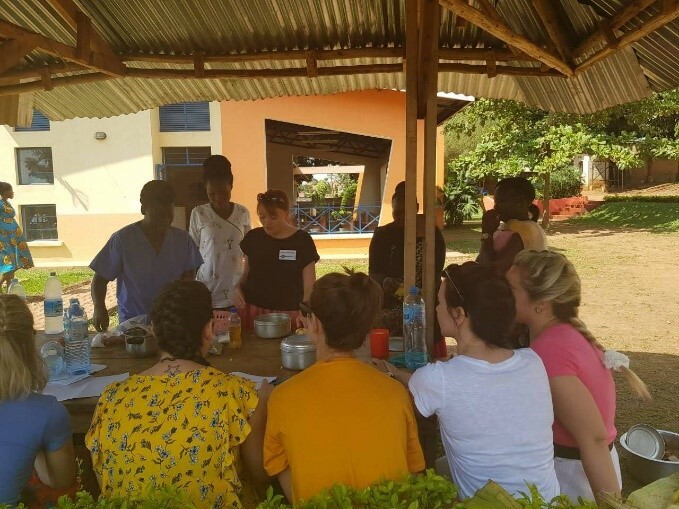 It was fantastic for us to be part of these projects and it was also a hugely beneficial experience for us to learn all about the local produce and crops grown in the region, their nutritional benefits and how they can be used in the diet. In addition,we were also involved in nutritional assessment programmes- measuring dietary intake in children as well as clinical measurements. This helped Nurture Africa assess the success of various feeding programmes already in place as well as identify those schools where future programmes and education are required. Assist with sanitary pad workshops. This was a programme whereby young teenagers at school are trained to make re-usable sanitary pads (presently many young women can miss up to a week at school each month due to lack of suitable resources). All of our students were trained in the making of the pads and they were then responsible for teaching teenagers at school. Learn about sustainable social development programmes such as the community workshop which supports early school leavers by retraining in programmes such as hospitality, woodwork, sewing and social skills. The experience was both humbling and inspiring and it was an amazing opportunity for the students (and lecturer!). It was a privilege to be welcomed into these communities and be part of a two-way process where we imparted some knowledge and skills but gained so much more from working with these inspirational and wonderful people.